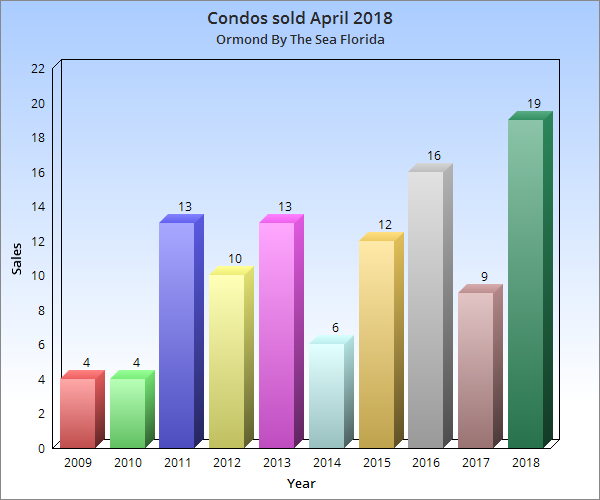 19 condos sold in Ormond By The Sea Florida during April 2018 through the Daytona Beach Area Association of Realtors® Multiple Listing Service (MLS), none of which involved a lender as a short sale or foreclosure. There are 20 condos under contract awaiting closing. Here is the list of the Ormond By The Sea Florida Condo Sales for this month.